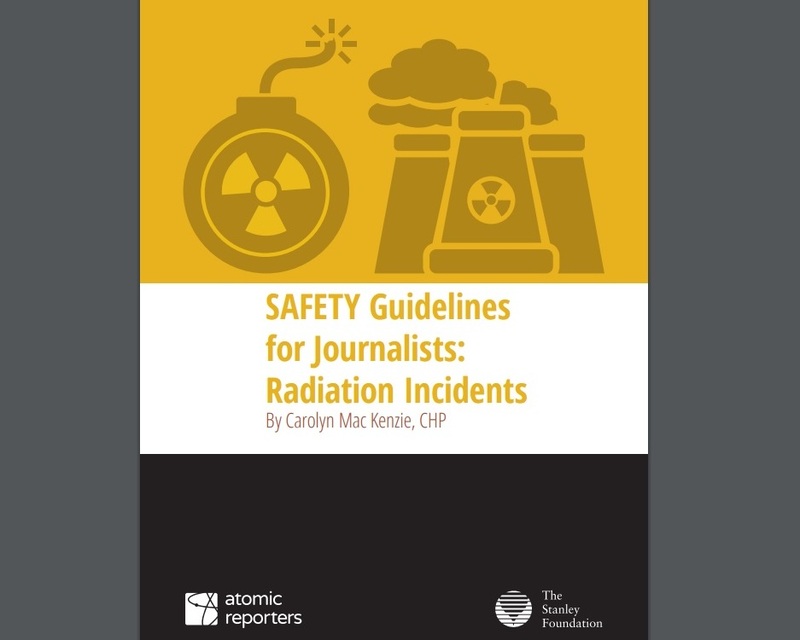 Journalists who cover news related to nuclear issues are frequently among the first people on the scene when a radiation incident occurs, but their safety is often overlooked, leaving them vulnerable to radiation exposure and other potential harm. 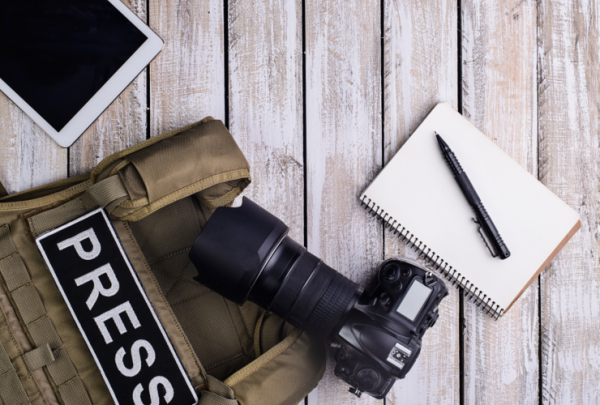 To combat that risk, the non-profit group Atomic Reporters, in partnership with the Stanley Foundation, has released a safety guide highlighting basic steps to take when covering such issues. The 18-page document, which is the result of a two-day workshop the two groups held in Rotterdam early this year, explains the different types of radiation incidents, the health risks of contamination and how journalists can protect themselves from long-term exposure. Noting a gap between authorities and the media when it comes to nuclear security, the workshop also produced a set of recommendations to authorities for improving communication with journalists in order to enhance public safety in the event of a nuclear or radiological emergency. Atomic Reporters’ Executive Director and founder Peter Rickwood said the guidelines’ genesis lay in his experience as a journalist covering a train derailment that could have exposed him to explosive and poisonous chemicals, and his unpreparedness at the time. The International Press Institute (IPI) recently spoke with Rickwood about the development of the guidelines and recommendations, and about Atomic Reporters. IPI: Tell us a little about Atomic Reporters and its aims. Rickwood: The basic motivation of Atomic Reporters is to try to inform journalists about issues that involve nuclear technology and science. This seems to be a pretty basic need that was being fulfilled in a lot of fragmented ways. For example, Homeland Security in the United States and equivalent organisations in Europe and elsewhere had public information on how to protect yourself in a radiation event, but nothing as succinct [i.e. pocket ready] as this for journalists. IPI: Why are these safety guidelines important? Rickwood: Journalists are first responders in so many situations. This reflects my experience as a journalist working in Canada and stumbling into an emergency situation that I was assigned to cover, not knowing the risks or what the hazards were. This was several decades back but the issue is the same, that journalists need insurance and knowledge. If they have that knowledge, they can protect themselves. If they don’t have that knowledge, they’re going to be exposed. Obviously, we hope that this sort of information will never have to be used, but you cannot deny the possibility of accidents and events occurring. IPI: Can you tell us more about the emergency situation in Canada that you were assigned to cover? Rickwood: There was a train derailment just west of the city of Toronto, in Mississauga. We were assigned to cover the event. It occurred very late at night and we were called out in the early hours of the morning. What we didn’t know was that the train, as well as carrying highly flammable material like propane, was also carrying a car of chlorine. Chlorine is a very poisonous gas. We as journalists were in the middle of a very dangerous situation. It was so dangerous that the city of Mississauga was completely evacuated – 50,000 people were sent out of town. It was daylight, about 12 hours later and the flames were still raging from this derailment. We’re driving around in our cars and cops all have breathing apparatuses, the city has been evacuated, and we’re sort of looking at each other like: “Whoa, hang on a moment. What are we doing here?” So we all pulled out. We were in a situation where we had no warning what to expect. I have a fear that a radiation event could possibly be the same. So what are the steps we can take to protect ourselves? In the case of the train derailment it was pretty clear that we had to get out of town. It was also pretty clear that no one had thought about the journalists who were covering the event. IPI: Why did no one think to inform the journalists? Rickwood: I think we just fall off the face of earth sometimes. Journalists really are the first responders in so many situations and we never get the respect. We have quite a significant responsibility and contribution to make. 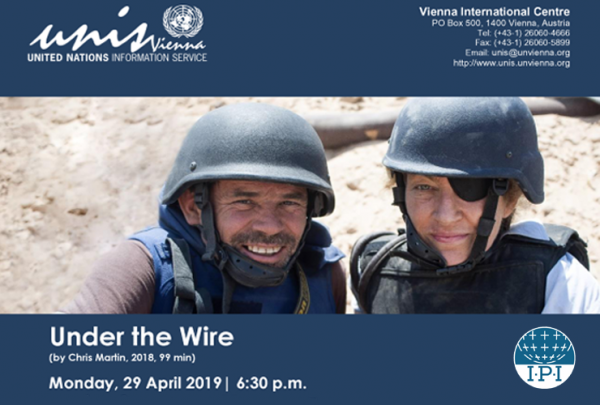 This is one of the roots of the guidelines that came out of the workshops for journalists: journalists’ contribution, what we need to know, what will help you, how can you reach out? We not only produced the guidelines but also came up with a set of recommendations. IPI: Are these the recommendations for authorities on how to communicate with media? IPI: Can you tell us about the workshop and how the recommendations were developed? Rickwood: The event was the result of Atomic Reporters’ involvement in something called the Fissile Materials Working Group, which is a coalition of 80 non-governmental organisations. That group made recommendations through the 2016 Nuclear Security Summit, which was held in March. The concern from Atomic Reporters was basically saying that if you want to create more awareness about the issues of nuclear security, work with journalists. Enhance relations with media and non-governmental organisations. As a consequence of those recommendations, we were able to work with various authorities. We were able to raise funding to bring in 20 journalists from as far apart as the United States and Japan to show them more low-key issues of nuclear security – for instance, lots of material getting into scrap metals in streams, which are radioactive and which is an indication that it’s not well-managed. We showed this to journalists and then, as part of a two-day workshop, we had a simulation on how you would cover a radiation emergency. In the course of this exercise, the journalists were informed that from the first notice of an emergency, which was unclear at that point, there would not be a news conference for half an hour. There was a lot of pushback from journalists, saying: “You can’t do this.” You’re now dealing with social media. You have a potential situation for mass hysteria. That was the trigger for the recommendations. We will present them to a conference in Vienna in December hosted by the IAEA [International Atomic Energy Agency]. It’s part of what Atomic Reporters is trying to do, to give journalists a voice. IPI: What are Atomic Reporters’ future aims? Rickwood: We hope that we can get funding to provide the guidelines in all the U.N. languages – Arabic, French, Russian, Spanish, Chinese – because I think there are a lot of journalists who have anxiety. We’ve done quite a bit of work in the Middle East with journalists and I know there’s a lot of fear there about what we call “dirty bombs”, and it’d be helpful to develop the guidelines in their languages.